You may see ‘endurance’ and think it doesn’t relate to you. ‘I only weight lift’, ‘I don’t do cardio’, yadda yadda yadda. You’re not the only one that thinks that too, but did you realise that weight lifting is actually a form of endurance? By definition, endurance is ‘a sports activity by an individual – i.e, non-team – athletes in which key muscles are exercised at submaximal intensity for prolonged periods of time, such as; swimming, wrestling, weightlifting, cycling, and skiing (Sergens Medical Dictionary, 2012). As they say, don’t judge a book by its cover. Endurance is being able to last an hour on the treadmill rather than 5 minutes, it’s having the stamina to stay in the game instead of huffing and puffing on the sideline, and its the difference between getting those final few reps or giving up halfway through a set. It’s the basics of all sports, and as such why you need to maintain a body in peak condition for you to maintain endurance fitness, and to make serious progression as an athlete. There are many advantages of having high endurance fitness other than not being out of breath. It has been found that athletes with a high level of endurance have improved metabolism, and reduce the chances of cardiovascular diseases (Morici et al. 2016). 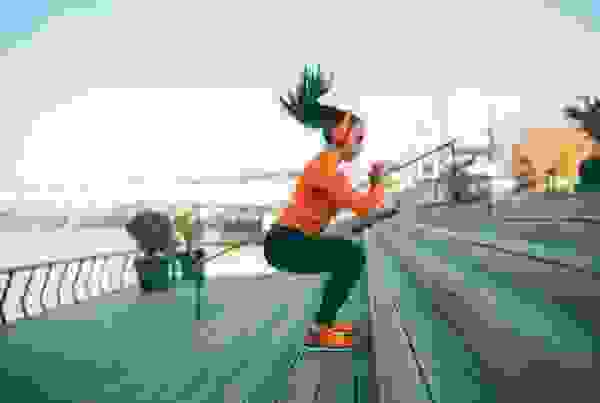 Endurance fitness has also shown to improve heart health (reducing your resting heart rate) (Blair, 2009), lowering of your blood pressure and improved blood cholesterol levels (National Institute of Health, 2010), aids weight loss, and also improves bones and muscle strength (Nordby et al. 2015). Not too shabby at all. 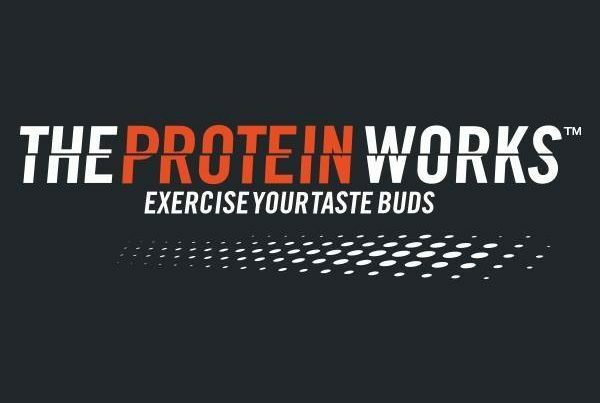 Here at THE PROTEIN WORKS™, we’ve been through blood, sweat and tears. Well, not quite, but we’ve been busy devising supplements around specific sports and goals, so that you, the consumer gets the greatest chance of success, pushing past your opponent or hitting your personal best. But which supplements should you be taking for endurance? Caffeine can be found in many different foods and drink types we consume each day, such as tea, coffee and even chocolate. It’s a naturally occurring stimulant used in many nutritional supplements due to its wide range of benefits for endurance sports. Caffeine works by inhibiting our adenosine (a molecule that gives us the feeling of tiredness and fatigue), meaning that we can work out harder and longer. There have been thousands, if not millions of studies performed on athletes worldwide, with all showing the same endurance benefits. For example, in 2007 caffeine was investigated in trained cyclists in time trial performed exercises. It was found that those who consumed caffeine had improved speed, peak power, and mean power (Wiles et al. 2007). Similar findings were also seen in another cycling study, of which all cyclist who were given caffeine saw an improvement in their performance (Ivoy et al. 2009 & McNaughton et al. 2008). Caffeine has also been shown to be an effective ergogenic aid for exercises with a documented ability to increase energy exposure and promote weight loss too (Goldstein, 2010). As we said above caffeine can be found in a limited capacity in some food and drinks. However, if you want a bigger hit of caffeine we recommend a strong pre-workout such as ‘Pre-works’. Everyone loves carbs. From bread to pasta and everything in-between we can’t get enough of this stuff. Well, luckily for you carbohydrates are awesome nutrients for improving your endurance. When we consume carbohydrates our body breaks them down into simple sugars which are absorbed into our bloodstream. This increases our insulin levels causing our blood to move the sugar to our cells, where it can be used as energy. It’s well documented that if you take part in more intense exercise then you need more carbohydrates (Burke et al. 2011), don’t need to be a rocket scientists to know that, but in regards to sports performance it has been found that carbohydrates constantly display an ergogenic outcome during exercises that extend over the 90 minute mark (Colombani et al. 2013). Perfect if you’re a footballer and the ref loves a bit of fergi time. Daily consumption of carbohydrates is the first and most important step for any competing athlete, and by combining carbohydrates and caffeine it has been seen to facilitate the improvement of lost glycogen (energy) after physical activity (Kewick et al. 2018). Getting back to basics creatine is stored within our muscles. This little molecule plays a very important role in the production of energy during very high-intensity muscle contractions over a 1010s period; think sprinting or weight lifting all out. When we maximally exert ourselves, creatine is the element responsible for helping these movements. The creatine is used in our cells to help regenerate energy, taking up to 4 minutes to be fully restored. It’s important to note that there is only limited creatine available in our muscles and as such why athletes decide to supplement it. Nailing the specifics, when we exert ourselves, a muscle will convert ATP (adenosine triphosphate) to energy leaving a useless ADP (adenosine diphosphate) molecule that must be rapidly converted back to ATP to sustain the effort. ADP is converted back to ATP via a molecule called phosphocreatine. By donating its phosphate, ATP is formed leaving creatine. Therefore the faster we can reconvert creatine back to phosphocreatine, the faster we can reproduce ATP from ADP for muscle contractions. But why is this important for endurance? The use of Creatine Supplements allows an athlete to train harder and therefore promotes greater training adaptation and muscle hypertrophy (Volek et al, 1999 & Willoughby et al. 2001), which in simpler terms means that through training harder you are able to improve quicker, it is also the most effective ergogenic nutritional supplement available to athletes in terms of increasing high-intensity exercise capacity (endurance) and lean body mass during training (keswick et al. 2018). As discussed by Krieder at al (2017), creatine studies on athletes have documented improvements in, single and multiple sprints, work completed across multiple sets of maximum force, anaerobic threshold, glycogen loading, work capacity, recovery and greater training tolerance. All relative to endurance and endurance sports. Beta-alanine has a strong foothold in the amino acid family tree. Already found in our muscle’s but in a limited capacity, beta-alanine helps to build carnosine. If you’re not too sure what that is, basically carnosine helps to buffer acid in muscles during exercise, maintaining optimal PH levels. You may have experienced that sharp pain called cramp. It feels like the devil himself is stabbing your muscles. This is the by-product of energy production in your muscles and the build-up of lactic acid. As well as this horrid pain, high level of acid build up also causes our muscles to lack in energy production too. By supplementing beta-alanine helps to maintain muscle PH levels allowing you to maintain maximal performance. We’ve all heard about whey protein, it’s shouted about wherever possible. High protein this, high protein that, but there’s a good reason for it. Especially if you take part in any form of endurance sports. It may be seen as a supplement only taken by the gym buffs, but it relates to everyone. If you’re taking part in any exercise your muscle fibres are subject to a lot of strain, resulting in micro-tears. It’s important that you repair this damage or it could result in injury and how do you do this I hear you ask? Well, whey protein is the answer. 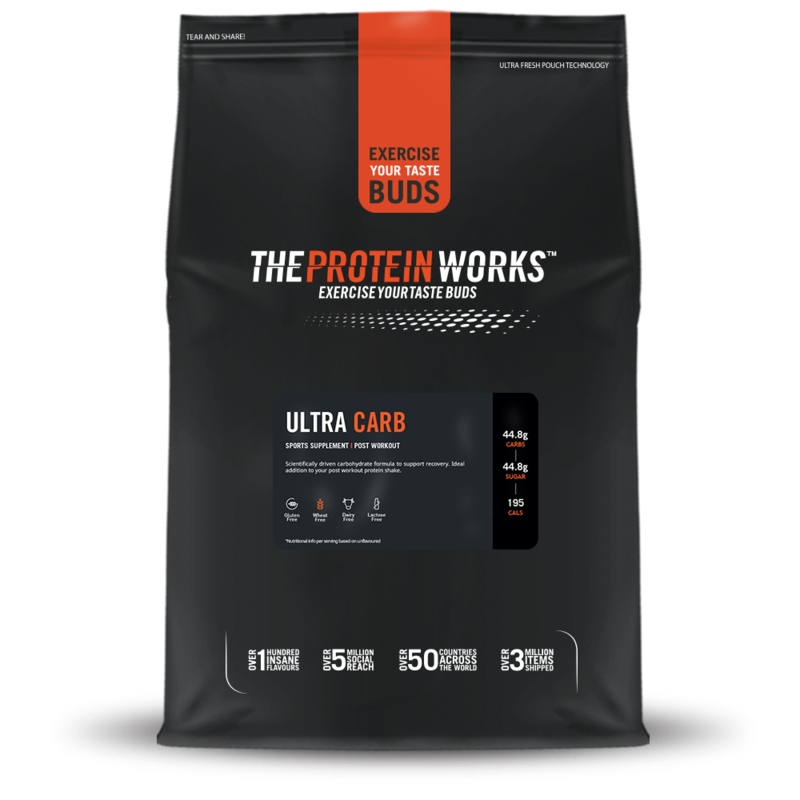 Being the most absorbable proteins among the clan, whey protein helps to stimulate protein synthesis, helping your muscles, repair and grow. Studies have indicated that if an athlete consumes insufficient amounts of protein, he/she will maintain and develop a negative nitrogen balance, indicating protein catabolism and slow recovery (Phillips et al. 2016), which over time may lead to muscle wasting, injuries, illness and training intolerance (Phillips et al. 2001 & ,Tipton, KD, 2015). If you’re serious about your sport then these words are like a dagger in the heart, imagine work so hard to build some strength for that to be pushed over by simply not taking your protein shake. Another study conducted by Cermak et al. (2012) performed a meta-analysis that looked at the impact of protein supplementation and changes in strength and fat-free mass. He concluded that protein supplementation demonstrated a positive effect of our fat-free mass and body strength. Depending on which endurance sport you take part in may depend on how your body uses its stores for energy. For example, marathon runners have a high carbohydrate diet so that their glycogen stores are at optimal levels through the full race. But what happens when these stores start to run low? Our bodies have a reserve of energy in the form of our fat. Our bodies naturally use carbohydrates first, but when it is needed they can convert the fat into energy too. However, our bodies can often struggle with this, and as such where L-Carnitine jumps in. Without L-carnitine our bodies wouldn’t be able to use fat as fuel and instead would use our hard earned muscle instead, resulting in muscle loss. CLA also allows the same thing with a few additional benefits such as contributing towards the maintenance of normal blood cholesterol levels. Segen’s Medical Dictionary. (20-12). Definition of Endurance Sport.Available: https://medical-dictionary.thefreedictionary.com/Endurance+Sport. Last accessed 11th Feb 2019. Morici G, Gruttad’Auria CI, Baiamonte P, Mazzuca E, Castrogiovanni A, Bonsignore MR. Endurance training: is it bad for you?. Breathe (Sheff). 2016;12(2):140-7. National Institutes of Health, National Heart, Lung and Blood Institute. Third Report of the National Cholesterol Education Program (NCEP) Expert Panel on Detection, evaluation and treatment of high blood cholesterol in adults (adult treatment panel III). Published 2001, May. Wiles JD, Coleman D, Tegerdine M, Swaine IL. The effects of caffeine ingestion on performance time, speed and power during a laboratory-based 1 km cycling time-trial. J Sports Sci. 2006;24(11):1165–71. Goldstein ER, Ziegenfuss T, Kalman D, Kreider R, Campbell B, Wilborn C, Taylor L, Willoughby D, Stout J, Graves BS, Wildman R, Ivy JL, Spano M, Smith AE, Antonio J. International society of sports nutrition position stand: caffeine and performance. J Int Soc Sports Nutr. 2010;7(1):5. Burke LM, Hawley JA, Wong SH, Jeukendrup AE. Carbohydrates for training and competition. J Sports Sci. 2011;29(Suppl 1):S17–27. Willoughby DS, Rosene J. Effects of oral creatine and resistance training on myosin heavy chain expression. Med Sci Sports Exerc. 2001;33(10):1674–81. Kreider RB, Kalman DS, Antonio J, Ziegenfuss TN, Wildman R, Collins R, Candow DG, Kleiner SM, Almada AL, Lopez HL. International society of sports nutrition position stand: safety and efficacy of creatine supplementation in exercise, sport, and medicine. J Int Soc Sports Nutr. 2017;14:18. Phillips SM, Van Loon LJC. Dietary protein for athletes: from requirements to optimum adaptation. J Sports Sci. 2011;29(Suppl 1):S29–38. Tipton KD. Nutritional support for exercise-induced injuries. Sports Med. 2015;45(Suppl 1):S93–104.